Former UK Prime Minister Tony Blair has said he was wrong to side with George W Bush and Israel to boycott Hamas after it won the 2006 Palestinian elections. “We were wrong to boycott Hamas after its election win,” Blair said in an interview reported in the Guardian. Blair now realizes it may have been a better idea for the international community to enter “into a dialogue” with Hamas. Instead, then-Prime Minister Blair supported Bush’s decision to cut aid and relations with the Hamas-led Palestinian Authority (PA) after its election victory in 2006. Hamas was given an ultimatum, either go against its charter by recognizing Israel, renouncing violence and promising to continue agreements made between its predecessors, Fatah, and Israel, or face an aid blockade. Blair, along with Israel and the rest of the Middle East Quartet consisting of the United Nations, the European Union, Russia and the US, then sanctioned and cut aid to the PA. The group resumed ties with the PA in 2007, after it split from Hamas following a conflict that ended with Hamas taking control of the Gaza Strip, and has continued to boycott Hamas since then. A UN report warned in 2015 that Gaza will be “uninhabitable” by 2020 should the effects of the decade-long blockade and three Israeli military offensives since then continue. Blair’s comments were made in an interview for a new book, ‘Gaza: Preparing for Dawn’. The book features Department for International Development minutes from 2006 warning of the danger of ignoring Hamas. It details how it would be a challenge for Hamas to change its stance on Israel in the short term, even though the two parties had been working together on a municipal level. “Ultimately Hamas’s participation in the realities of political responsibility might bring about Hamas’s transformation to a political rather than terrorist organization,” the document predicted. The book also contains comments by Blair’s chief of staff, Jonathan Powell, who described the Hamas strategy as a “terrible mistake,” explaining that negotiating with both Hamas and Fatah resulted in double the negotiations and concessions made. 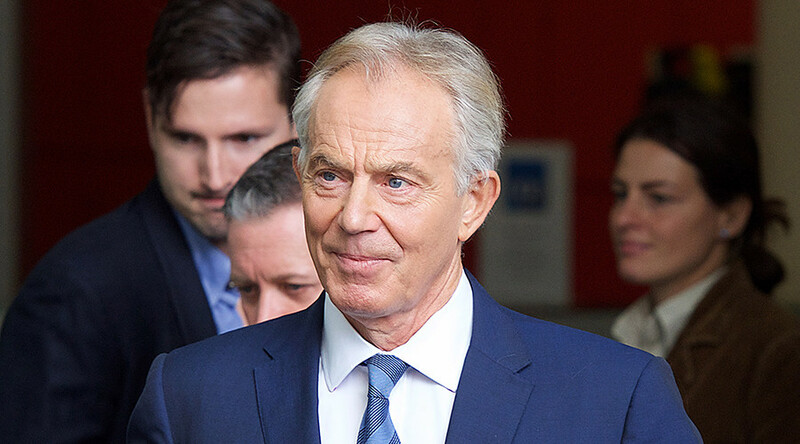 Blair’s comments have been published as Hamas and Fatah are in the midst of a reconciliation agreement penned in Cairo last week, which will see the PA resume control of Gaza by December, and lift electricity restrictions on the area. Since leaving Downing Street, Blair embarked on a career as special envoy for the Quartet on the Middle East until 2015, and is now as a consultant and owner of various foundations. Blair was prime minister from 1997 to 2007. During his time in office, he followed the geopolitical footsteps of Bush, fully supporting the US leader’s decision to invade Afghanistan and later Iraq. He has since been accused of war crimes due to the argument for the Iraq invasion being based on lies about Saddam Hussein having weapons of mass destruction. The Chilcot Inquiry found the invasion to be unjustified and unnecessary last year.